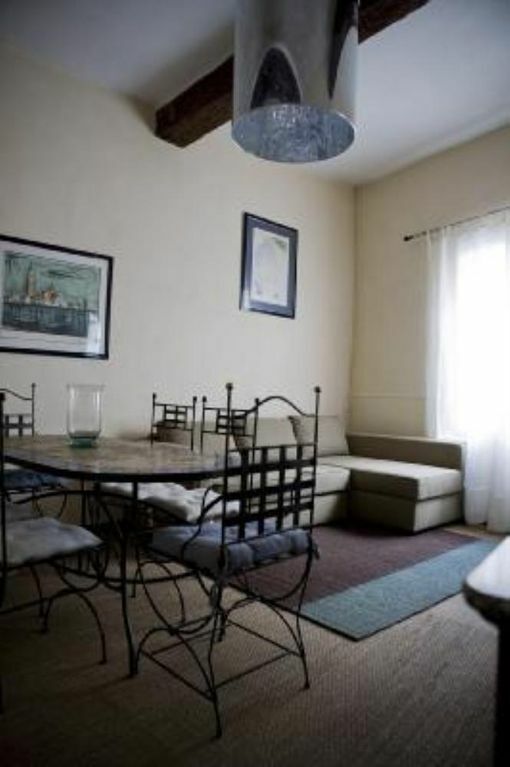 Ideally located close to the Popes'Palace, on a quiet square, near shops and nice typical places. A friendly home to stay in and visit the Alpilles, Luberon, so many monuments and historical places all around ! A small town bus comes down the house every 10mn and drives you wherever you wish inside the walls to make it easier. Easy to park if you come by car ( several free and paying car parks ). If you want to enjoy the warm and pleasant days of Autumn to stay in the South of France, a cool "aperitif" is waiting for you in the fridge to welcome you! Deposit for stays of one week: 250 euros to be delivered upon arrival directly to the owner by check for French or cash. Mandatory cleaning deposit at the arrival of 40 euros. Possibility to do the cleaning yourself or household option 40 euros. We loved Frédérique’s apartment. The next time we will stay for a week and use it as a home base. Just perfect for a couple. A five-star stay in a perfect location, with all the comforts of home. Frédérique was a charming and considerate hostess, and her apartment in Avignon was perfect. It is well-appointed, homey and comfortable, and close to everything. I highly recommend this location in the heart of old Avignon! Thank you, Frédérique! Very nice guests, I am glad you have enjoyed your stay. Thank you for leaving everything clean and tidy. This is a great apartment in a quiet neighborhood in the town of Avignon. You can walk just about anywhere in town, but be careful to know your way back. Our only problem was that we got lost once trying to return. Luckily, the GPS in my phone led us right to the street. The apartment is clean and beautiful with a large living/dining area, bright, well-equipped kitchen, big bathroom and nice bedroom. Frederique, the owner, was not available to meet us, so her son Nicholas came and let us in and oriented us to the apartment. He was very thorough and friendly. We were only here for 2 nights, but we would have liked to have stayed longer. It would be a wonderful get-away for a week or 2 of quiet relaxation. There's even air conditioning if it's very hot at night. If you have allergies to scents, let Frederique know ahead of time and she could remove the vanilla scented oils from the apartment. We put them outside on the window sill, as my husband has allergies to scents, especially vanilla. We highly recommend this apartment! I wanted accommodation that would be convenient for exploring the old town and this was perfect. It was within easy walking distance of everything. The rooms were spacious and everything was clean. Though we did not use the kitchen, it had everything you would need for cooking a meal. Frederique is a charming and considerate host. Our trip was a retirement treat, and in recognition of this, she had a bottle of champagne on ice for us. She provided maps, tourist information and personal recommendations to help us. For us it was an added bonus that she speaks such good English. We were very happy here and would recommend this accommodation. Frederique offers a wonderful apartment in virtually every way: location, quiet, equipment, space, and aesthetic. Many sightseeing historical places to discover within the narrow medieval streets. Antiques,shows and museums without forgetting Villeneuve-les-Avignon just opposite the famous Bridge "Pont Saint Bénezet". A lot of nice restaurants to try too. Les tarifs sont indiqués pour 2 personnes. Rajouter 10€/nuit/personne supplémentaire. Une caution peut être demandée selon la durée de réservation et le nombre de personnes (restituée au départ des locataires après le check-out) Un acompte (30%) est demandé à la réservation. Vous pouvez régler par Paypal (compte particulier au nom de Frédérique Nowak-Peloux ), virement bancaire (IBAN sur demande) ou chèque.